Children in Harworth and Bircotes have a brand new play area to visit thanks to the completion of a Council Housing development in the town. 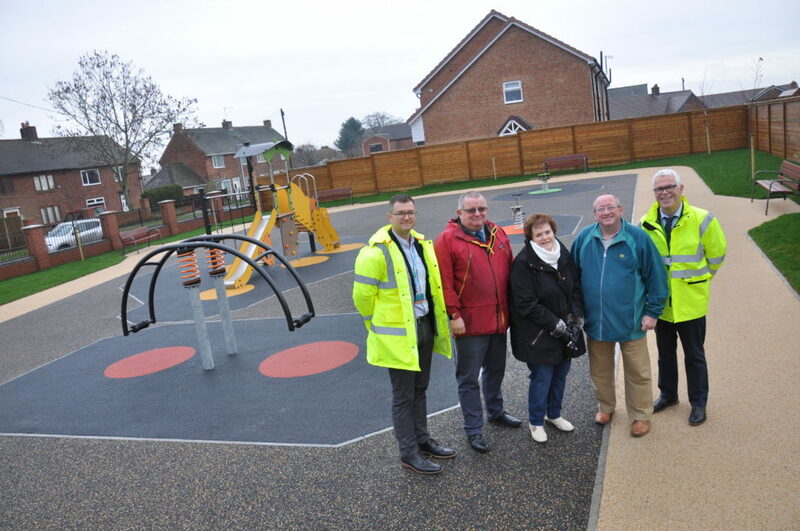 The new playground on Amanda Road brings Bassetlaw District Council’s award-winning housing development, in partnership with Woodhead Group, to a successful conclusion. Over the last three years, the partnership has created a total of 83 new homes that include a mix of modern and energy efficient flats; two, three and four bedroomed houses and bungalows, in addition to the new playground.